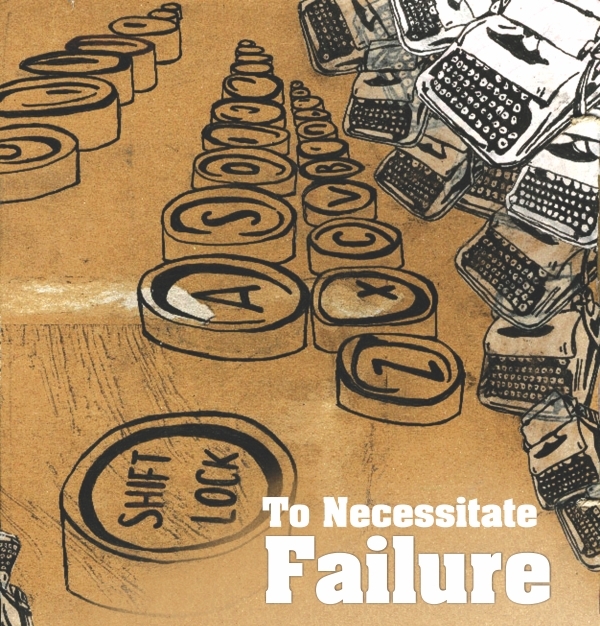 What necessitates failure? Under what circumstance will a man abase himself, reduce himself? The start is always the hardest. For a writer, finding the first word that resonates is the same first step that a mountaineer must steel himself to take. Our logic, our endeavours, lead us over a precipice, one that scares us, terrifies us, because taking the plunge means we let go of all inhibitions. It means to let the reins finally go, to see where our minds will take us. A writer is at foremost, a thinker, and thinking minds know the unsounded depths they can sink to, and they put anchors in place to stop that from happening. But when we write… when we write, we plunge. To see what the darkness holds. Writing necessitates failure. Only when you fail to be yourself, can you succeed in being someone else. For the sake of a story. The thing called The Writer, twitched; its fingers stopped. The well of words had run dry in its mind, and It felt once again, the familiar treachery. To run dry. In Its mind, it could never equate the how of this, or the why. How could a man find the infinite combinations that may be exacted, and with it reap beautiful poetry? And why does this ability not last? Why is it not present in everyone? Why does it, in its fullness, resemble a capricious beast, at once ever present and all consuming, and in the next, cruel and unforgiving in its abandonment? The thing called The Writer, felt a certain loss. A dearth of words was indicative of something else. It knew that words only recede when the mind loses clarity. For The Writer, a being of intellect, this was galling. To lose clarity was to lose definition. The Writer decided it needed respite, and more. The catacombs of its home bespoke of a mind bent on one thing and one thing only. Bare walls that alluded to a relentless void, furniture that pointed to a character devoid of personality and dead withered flowers in a garden that displayed the terrible indifference of a thing without individuality. A person that was a thing, not human. The Writer had long ago forsaken the hypocritical pronouns of “he” and “she”. It had realised that to refer to oneself within the boundaries of these human characteristics restricted it. It was not human, in nothing other than form. It was more and it was less. In its mind, the thing called The Writer had found peace in separation from self. Absence defined it. Its soul was a vague mimicry, its humanity a mere pantomime. It had refused to give up the progress of its intellect for the sake of its humanity. It was more, it was less. The Writer found the door to the cellar, opened it and took ponderous steps down into the gloom. A human mind that ran on emotions would have found the atmosphere oppressive; it merely found it to be an absence of light. The Writer steeled itself; questioning the captive Man always taxed it. It knew it could never put logical definitions to emotion, but encounters with the Man always prompted it to try futilely. The Man was its captive. The thing called The Writer used the human to replicate emotions, since it had none of its own. It had realised that in order to Write, emotions were a factor that added depth, an inexplicable depth The Writer could not explain. Yet it could not ignore it. If emotions were necessary to take Writing to its pinnacle, it would take what it needed. The Man had been propped on a chair, glazed drug addled eyes stared back in dumbfounded thought. It had reduced the Man to an addict, easier to enact answers from the human. “You had a daughter once. Tell me about her.” Dead voice, enunciating mere words. “The first time I saw her, I felt this great sense of weight, like I was weightless but everything was bearing down on me. She was in the ward, nowhere near me, but for some reason I felt all these things... I can't really define it.,” Slurred voice trailed away, to let silence move in. “I... felt different when I first saw her. She was wrapped in these white sheets, far enough away that I couldn't really make anything out of her features. But, I think at some point she cried out, and the nurse in the ward, she was just sitting there, doing nothing. I don't think I've ever felt that much rage and hate, that she wouldn't help my daughter." Clarity. The method of writing all came down to clarity. The Writer, the thing, had once again found the words that moved. But there must be more. Every story needed flesh. The Child, if descriptions were made, would start off as being dirty and end at being too thin. The Writer wondered at the Child's listless lethargy. To it, the presence or the importance of family never mattered much. Inexplicably, the Child craved the shackles of human cohabitation. Not that the thing that called itself The Writer didn't exercise chains in order to keep the Child to him. Over the years, in its search for the perfect method of description, The Writer had found that children made the perfect tool when it came to describing colours. While grown men and women looked at brilliance or the actual context of any scene, a child looked at colours and shapes. Simplistic, yet brilliant and concise. The meaning or the definition of a description was immaterial to The Writer. He took the child out in the secluded backyard. He needed to know if the sky was merely blue. Perplexing. It seemed that that Child had deteriorated. Almost as if the absence of familial connection had manifested into a tangible debilitation, a petulant reluctance The Writer could not abide. Replacements would have to be made. The Writer wondered at the words she was saying. It wondered how, words, at the behest of one could reach such great heights, and sound so tedious in the mouth of another. But it needed the Woman's appraisal, his neighbour. If perfection was to be achieved, it needed proof from outside the circle of its thoughts. The Writer pondered its answer. Maybe Truth would elicit a response from the woman it could replicate on paper. The Thing needed one expression of surprise to describe. The twitch of surprise, muscles spasming as eyes widened. The thing called The Writer recorded the facial changes; it would put it to appropriate use later. But for now it needed to diffuse the situation. The thing called The Writer decided it needed to acquire a Woman. Its perspectives had always leaned towards the masculine, and the challenge to correctly portray the other side of the debate quite appealed to its twisted conscious. On a whim, it pondered the remnants of its past self, when it had still referred to itself as “me”. It smiled. In order to correctly portray the act of remembering, it had forced itself to forget itself. In order to portray humanity, it had shorn itself of its individuality. It was the necessity of failure. Only in failure, the insights to success can be found. Like the ex-soldier had said, the best view of heaven is from hell.